You crave to hear the tiny pitter-patter sounds of little feet running around your home. You’ve tried for years with your significant other and nothing seems to work. From in vitro fertilization to downloading ovulating apps to track your cycle, nothing seems to work for you and your spouse. All you’ve ever wanted was a child. A child who could look at you adoringly, who builds sand castles with you on vacation, and who comes to you when he or she is hurt. You’ve wanted a child for so long, you don’t even know when the urge to hold a little bundle of a joy in your arms started. Thankfully, even if you can’t have your own biological child, there are still many opportunities out there to allow you the ability to hold a teeny, tiny, human in your arms. With the option of adoption, you’ll be able to finally hear the pitter-patter of feet running around your home and you can gaze into those adoring, child-like eyes. By hiring a family lawyer from Lopez & Wilmert, LLP, you’ll be able to build the family you’ve always wanted. There are two types of adoption options. For either adoption, it will be a lengthy process that can take a few months or over a year. There is a lot of information out there to help you make the right decision for your family. With the help of a family lawyer, you’ll be able to wade through the overwhelmingly extensive questions, concerns, decision making, and information. What To Know About Adoption, may help you get a full overview of what to expect when you adopt. Domestic adoption is when you adopt a child from the country you live in. In this case, you’d be adopting a child from the United States. For domestic adoptions, you would either adopt a newborn or a very young infant. Domestic adoptions can cost between $30,000 to $50,000. The amount of time you’d wait for an adoption domestically can vary with the paperwork and the process. Most adoptions domestically can take up to a year to be completed. The process and decision for going through a domestic adoption depends on the family as much as the birth mother. The birth mother will be matched with the adoptive parents after completing a long questionnaire as well as providing information about genetic information, medical history, drug history, and any other health information that might seem relevant. Domestically, there are a few different types of adoptions from open adoption to private domestic adoptions. International adoption is when you adopt a child from outside of the country you live in. In this case, you’re adopting from outside of the United States. International adoption can cost about the same as domestic adoption; however, you have to add on all of the travel costs to the country. International adoption can cost between $32,000 to $66,000. The cost amount depends on the country where you’ve decided to adopt a child. When you adopt internationally, the child will be a non-infants, which means they have to be cleared to be adopted. For the child to be adopted, local guidelines must be met as well as a local family must be offered the child before the child goes toward international placement. 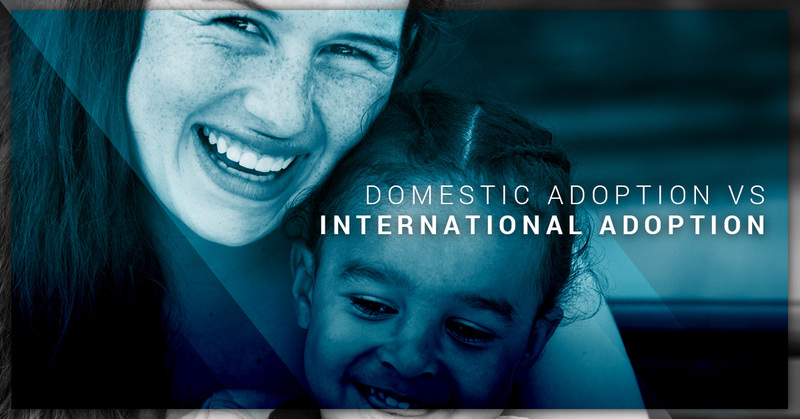 International adoption takes longer than domestic adoption and is generally abandoned or orphaned before they are placed into the adoption system. To best figure out the adoption option for your family, contact a family lawyer for more information. By continuing, you understand that you are not automatically creating an attorney-client relationship with our firm simply by submitting information through this web form. Only by meeting with us in person, and executing a retainer agreement after we run a conflict-of-interest check, can you create an attorney-client relationship with our firm. By submitting your message, you acknowledge this and you further acknowledge that we have no obligation to maintain the confidentiality of any information you submit to us through this web form, unless we have already agreed to represent you or we later agree to do so. Thus, we may represent a party in a matter adverse to you even if the information you submit to us could be used against you in that matter.